Srinish Nair alo reffered to as Srinish Aravind is an upcoming artist in the Malayalam television industry. He hails from Palakkad district of Kerala. But the actor was born and bought up in Chennai as his father was employed there. Srinish's family consists of his parents and an elder sister. The actor completed his schooling from J R K Matriculation Higher Secondary School, Chennai. He then completed his graduation in Bachelor of Commerce from Guru Nanak University in Amritsar. Srinish who had a passion towards acting further did a graduation from Balu Mahendra Institute of Film Technology, Chennai as well. Srinish Aravind, the upcoming actor is a versatile guy who has interest in many fields. His interest towards computer and technology made him learn the IT related courses such as Microsoft Certified System Engineer and Red Hat Certified Engineer from HCL. He who has a lot of qualifications has worked as a recruiter at 'Kindle Systems'. He has also served 'Vasan Healthcare' as an Operations Executive before coming into the acting industry. 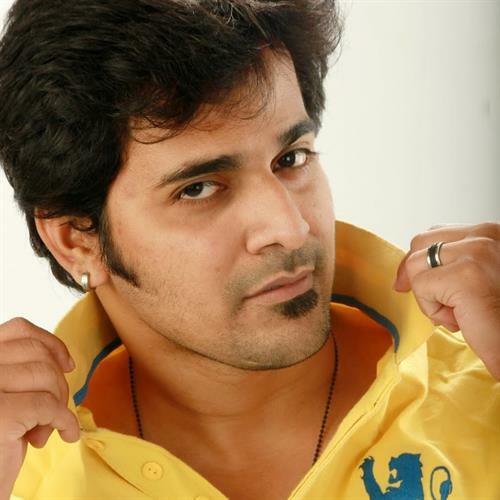 Srinish Nair is a model turned actor and has appeared in couple of short films before entering the television industry. In Kerala, he became famous through the Asianet mega serial 'Pranayam', directed by G Krishnan. He s more popular as his character Sharan G Menon, which is indeed a recognition to his acting talents. Srinish Nair who had a passion towards modelling and acting had initially worked at Kindle Systems and Vassan Healthcare before pursuing his dreams. Further he entered into the field of modelling. As he was born and bought up in Chennai, the land of films and artists; he made his debut in acting through Tamil short films. Srinish Nair has appeared in the Tamil short film 'Uyir Ezhuthu', directed by Robert Runcie. It was a crime thriller in which Srinish was able to perform well. This short film was an amazing one with a good theme. Uyir Ezhuthu got the Best Short Film award in the year 2007. Srinish Aravind Nair has also acted in the short film 'Rise Up', written, directed and edited by Robert Runcie. This film is about a suicidal guy in the crossroads who has to decide whether to live or not. Srinish appears as the suicidal guy. It is indeed a good short film which teaches us that one needs to have more courage to live than to kill himself. Srinish has performed his best to make the short film a success. This actor made his debut in the Malayalam television industry through the serial 'Pranayam', telecasted in Asianet. Pranayam serial is directed by G Krishanan and is produced by Merryland Murugan. This serial is the remake of the super hit Hindi serial 'Ye Hai Mohabbatein' telecasted on Star TV which is based on the novel titled 'Cover Story' written by Manju Kapooor. In the serial Pranayam, Srinish Nair appears as the male lead character named 'Sharan G Menon'. He is the CEO of a multinational company. Renowned actress Beena Antony and Kottayam Rasheed plays the role of Sharan's parents. Sharan who was first married to Kavitha is now divorced and is living with his patents and his daughter Malavika aka Malu. Kavitha had a second marriage with a business man named Prakash. Prakash considers Sharan as his enemy and wants to see the fall of Sharan G Menon. The character Prakash is a negative one. The heroine of this serial is Lakshmi, a Brahmin girl who is a dentist by profession. Actress Varada Jishin appears as Lekshmi. Sharan even though he likes his daughter Malu, does not find time for her and conveniently ignores her due to his busy schedule at work. Lekshmi who is a neighbor of Sharan loves Malu a lot and is always there for the small kid. She finally decides to take it up with the media about the plight of the small child. Thus after the involvement of many officials and media, Malavika is left to live with her mother and step father. Malavika somehow can't adjust there and she loves her dad, Sharan and wants to come back. Malavika brings Sharan and Lekshmi closer. Lekshmi's deeds and efforts are successful to a great extent as Sharan Menon, the rough guy is eventually turned into a caring father. Even though the character Sharan G Menon is a bit rough type, he has some good characteristics which attracts the audiences towards him. Sharan is well accepted by the Malayalee viewers and so is Srinish Nair. This upcoming and talented actor has immense opportunities to perform as Sharan as he is at times soft and loving and rough and strict at other times. Srinish is so far perfect and successful in performing as Sharan G Menon and the serial has also gained popularity within a few episodes. Now the young and handsome boy is showered with reviews and feedback. Srinish is all excited about it and would like to reach greater heights in his industry as acting is his passion.